For starters there's a word of praise I have to give... to Yannick! Yes he definitely is on the runner up contest for Ports developer on steroids! Pretty amazing stuff considering that these projects did not span more than 4 months ALTOGETHER. Keep it coming Yannick!!! Anyway with his commitment AROS will have soon enough 3d Acceleration! We all know about O1i's effort to bring the AROS E-UAE integration port to a finish state, and it seems it's really there. This and Ami-bridge have been fueling the comeback of many Ex-Amiga users. But there's a new guy in town! Say hello to Emumiga ! Moogen and Jakob have been working on a emulation layer so that AROS runs Amiga binaries within AROS internals (just like any AROS executable). Emumiga goal is to run AmigaOS 3.x applications directly in AROS without emulating the Amiga chipset and without a copyrighted Amiga ROM image. For that it consists of a Motorola 68000 processor emulator that runs in emulated virtual memory. The virtual memory space contains mappings of real AROS system objects accessible from the virtual CPU. The mappings are set up to create AmigaOS binary-compatible system structures. Emumiga intercepts system calls made in the Amiga application and forward them to the corresponding AROS system calls. Emumiga constantly keeps track of all mappings, sets up new mappings as new objects are discovered and removes mappings for dead objects. The emulated CPU will not emulate any exact version of the MC68000 line of processors, but will behave in a way that runs the largest number of programs possible. Right now they're able to open the Amiga Workbench Clock utility and show the menus (in AROS style naturally)! 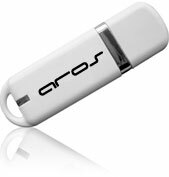 Sami has added PPP support to AROS through USB modem devices! And this makes another world record for AROS - the first AMIGA NG OS to achieve Mobile Broadband support! It's a shame that some Huawey USB pens do not work at the moment, but that may change in the future since the problem is already identified! Finally the icing on the cake - Sonic work has expanded beyond Win-hosted version of AROS and now is working with AROS GFX internals and with a specific goal in mind - getting the most specific OS recognizable and distinguish aspect of AMIGA OS - Screen dragging. And it's already working! We all know about the AROS SAM port by Michal Schulz, well he's improving it with the help of Markus and some other folks (can't remember right now - sorry), and the small improvements are being fueled from other ports and back. This is what I call multi-cooperation! EFIKA port is still in the works as far as I know, but it's probably improving as well specially with latest developments in the USB area (Poseidon and USB booting devices support). But news arise from the nearly defunct m68k port that's being totally ressurrected! Gaz is on the job and has already received help from Pavel (aka as Sonic is a pretty ocuppied fella - better watch ou for this one - started with the validator bounty and there's no stoping him!). Better still the goal is to persue the Kickstart ROM Replacement Phase 1 bounty! Well let's hope that a third time is a definite one! These points are just the tip of the iceberg, I'm not even speaking of some internal changes and additions that have visual effects (GFX speedup, pointer prefs support) and others that do not!